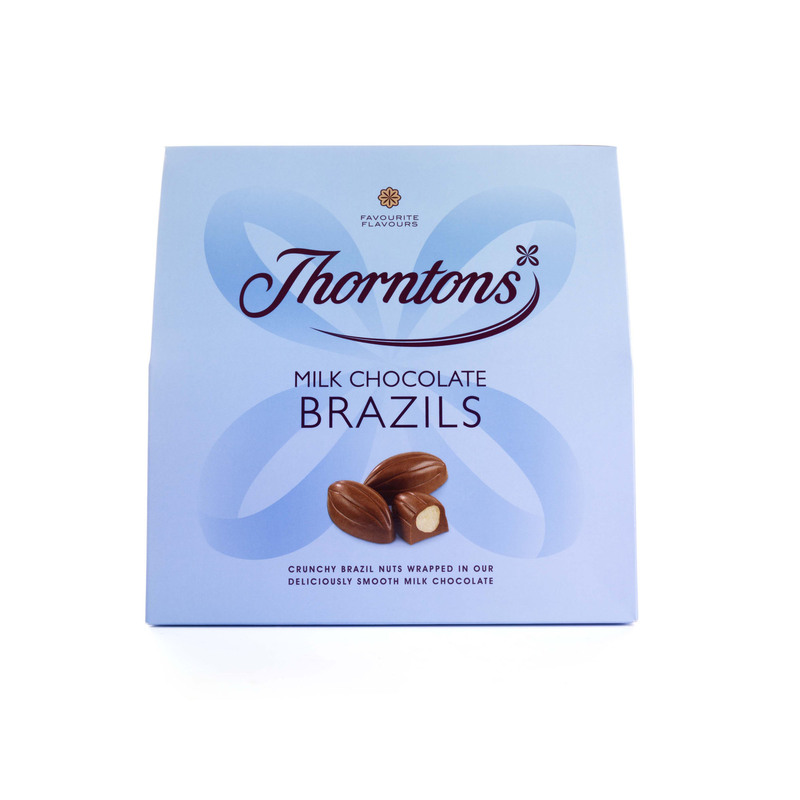 Those who love Milk Chocolate Brazils will go nuts for this Favourite Flavours box. 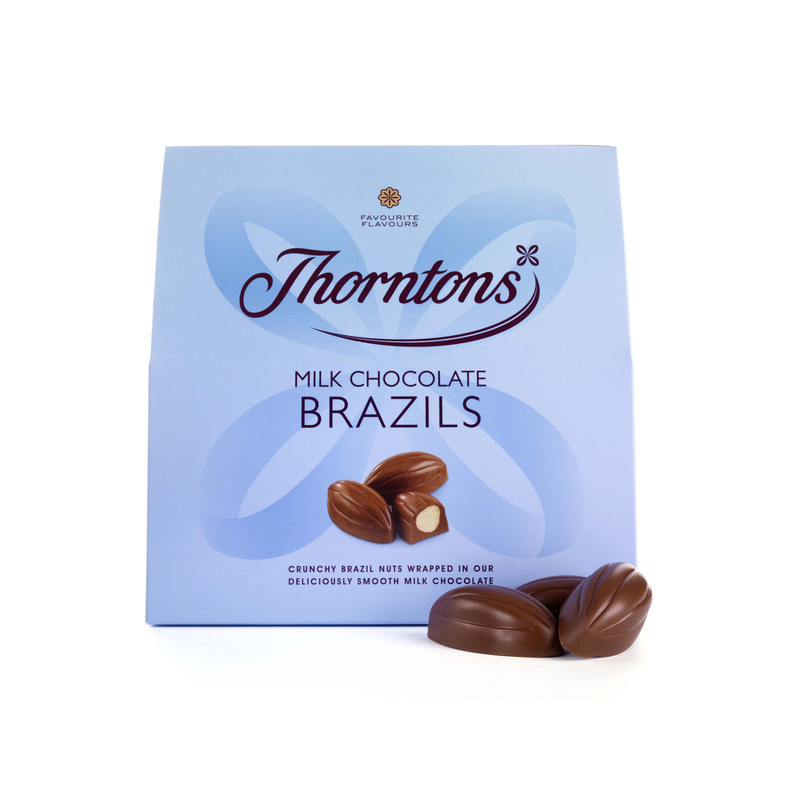 Containing two bags of crunchy, chunky, whole Brazil nuts covered in smooth Thorntons milk chocolate, it makes an ideal gift for someone who you know loves this classic chocolate treat. 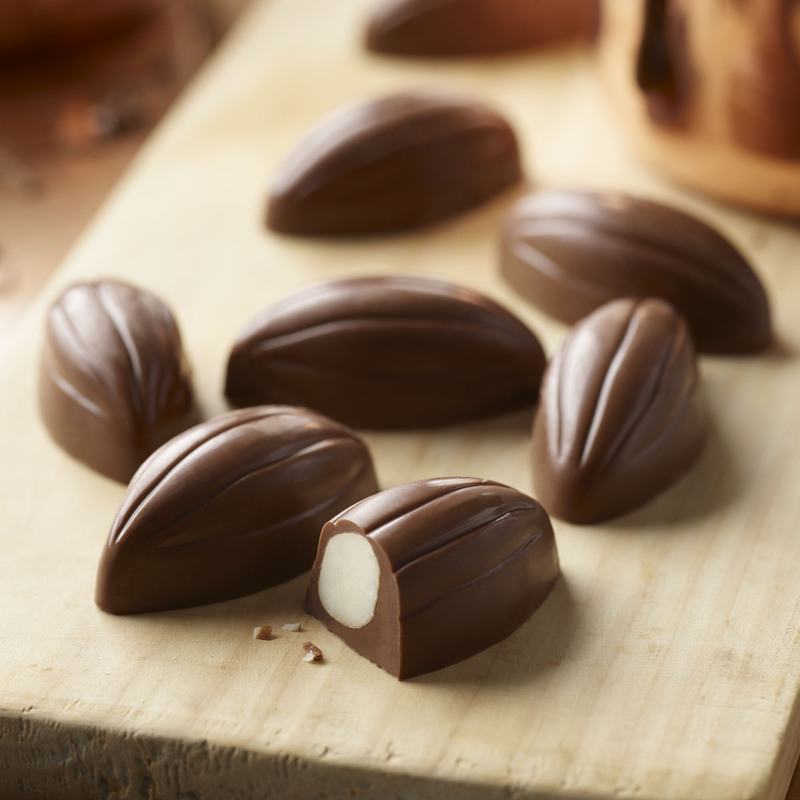 Or perhaps you want to indulge in a box of your favourite flavour, just for you? The new look blue box is smart enough to give but also tempting to keep all to yourself.